They should have called you Super Fly. Yep, that’s what you were, dancing in front of your TV every Saturday, spinning on the carpet and waving your arms around until you got yelled at for “going [to] break something.” But you were the flyest of fly. The only thing you were going to bust was a move, just like on Soul Train. And in “The Hippest Trip in America” by Nelson George, you’ll read about the iconic TV program that you never, ever missed. Everyone knew that Don Cornelius had “ambition”: he was a car salesman, policeman, and insurance agent before his “foghorn voice” led him to radio in 1966. He made the transition to TV two years later, and he soon realized there was a need for a “black” TV show. He presented the idea, then he found major corporate sponsorship, and on October 2, 1971, Soul Train appeared locally in Chicago. The show was “’overnight hot’” but Cornelius knew there was more to this idea. With another sponsor on-board for a nationwide launch, Cornelius pitched the show to the networks, but they turned it down. He decided to syndicate Soul Train and moved the show to Los Angeles. In Los Angeles, scouts kept their eyes open for promising teens who could dance, often mining prospects from three main area clubs. 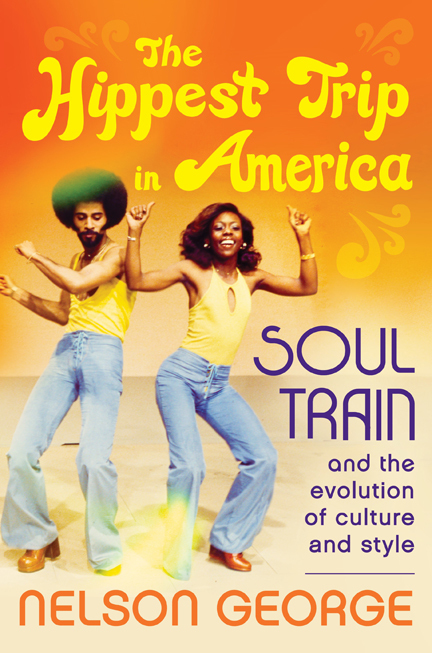 Dancers performed for free but the real appeal of being a Soul Train dancer was fame and the opportunity for a career in show biz. It seemed as though every regular viewer wanted to be a Soul Train regular, too. From its first pages and throughout, the word “joy” crops up often in “The Hippest Trip in America,” and for good reason: it was everywhere in the show and even more in this book. Get out your bell bottom pants and your best dancin’ shoes, have a good Internet connection, and get ready. For you, “The Hippest Trip in America” is a book you’ll want to bust out and find.